Your source for reliable business news - business, career, economy, technology, travel and more. 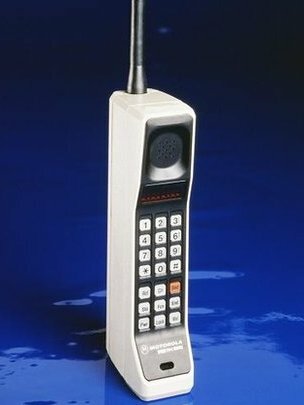 On this day in 1973 the first cellular phone call was made using the now iconic Motorola DynaTAC. The phone was 10 inches long and weighed 2.5 pounds. Today’s smartphones weigh between 4 and 6 ounces. Today there are 6 billion cell phone subscribers worldwide. Of that number 1 billion are using smartphones. Today’s phones are mini-computers. The big breakthrough was the development of a personal phone that could be carried anywhere. Car phones existed since the 1960′s but cellular technology changed everything. The car phone couldn’t go anywhere. Early cell phones were indeed installed in cars, but the DynaTAC represented complete freedom to move around with a mobile phone. It’s ironic that Google now owns Motorola. The company responsible for Android now has its own outlet for mobile technology. Join Our FREE Success Program.